Car seats are a mandatory and important safety item for any parent. And there are strict regulations for how long a car seat can be used from the date of manufacturing, to ensure safety standards are met. But what does this mean for our landfills after the car seat has expired or has been in a car accident? Bad news for our landfills, that’s what. 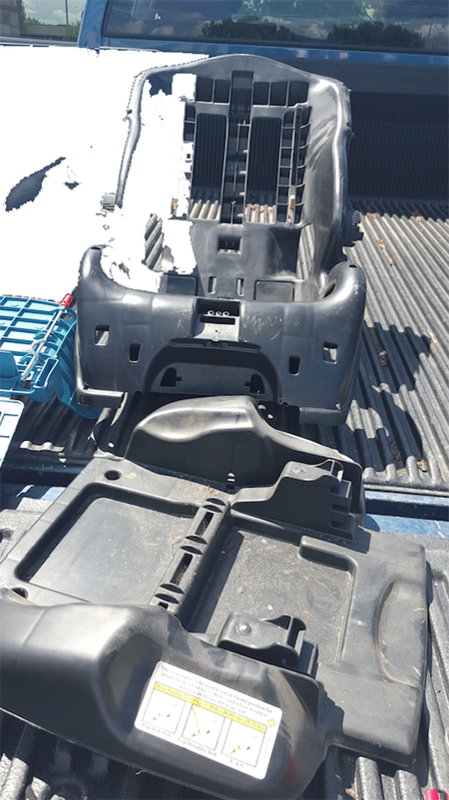 Thankfully Kidseat Recyclers is committed to keeping used car seats out of landfills. 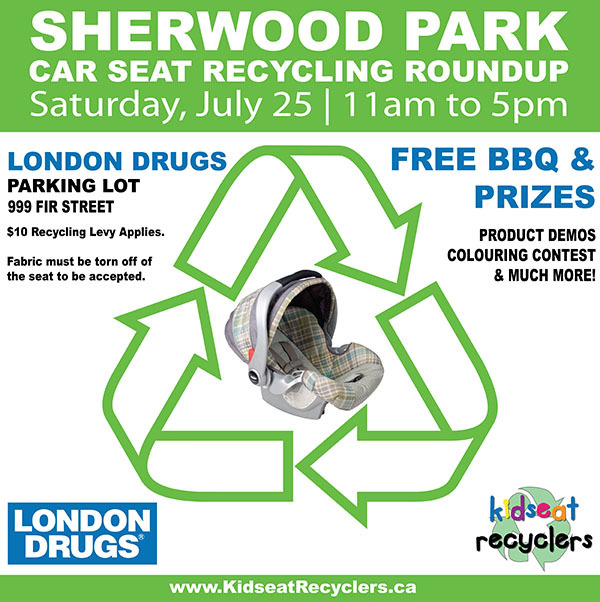 They’re partnering with London Drugs for a roundup in Sherwood Park, AB this Saturday! 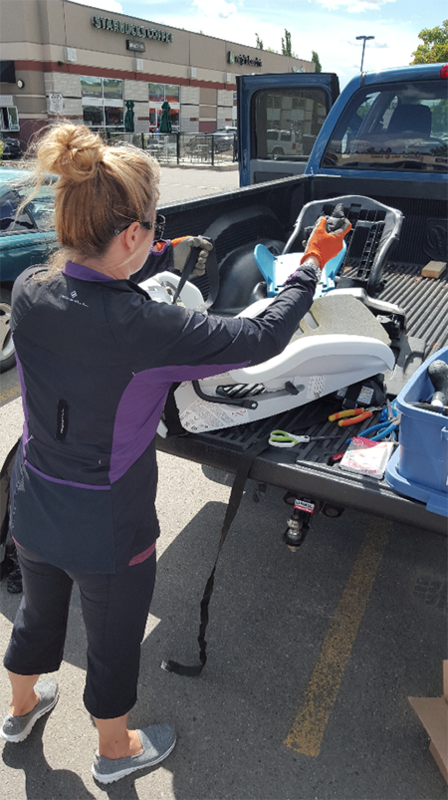 Bring your car seat to the Sherwood Park location of London Drugs and know that you are making an earth-friendly impact. London Drugs has some awesome green initiatives, and this partnership with Kidseat Recyclers just makes sense because London Drugs can take the styrofoam from the seats for recycling as well. What have you done with old car seats before?